KANSAS CITY, Mo. 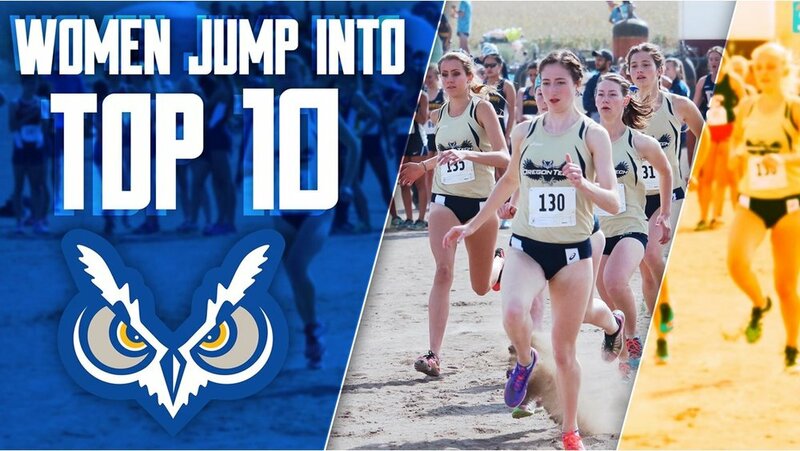 – The Oregon Tech women's cross country team moved-up into the Top in this week's NAIA Coaches' Top 25 Poll, the NAIA National Office announced. The women are coming off a 4th place showing at the 43rd Annual Charles Bowles Invite as they moved-up from No. 11 to No. 9. The Lady Owls were led by Junior Danielle De Castro as she finished third in the women's 5K in a time of 17:52 which is now 3rd All-Time best at Tech behind her own 17:46 last year and Susie Garza who is the record holder from 2015 when she ran the 5K in a time of 17:45. College of Idaho leads the CCC in this week's Poll as Yotes come in at No.4. Southern Oregon is at No. 6, Tech at No.9, followed by Corban University at No.19. In the men's poll, Oregon Tech dropped out of the Top 25 from No. 23 to No. 26. Defending champion Southern Oregon remained at the No. 1 spot however they are now tied at No. 1 with British Columbia. After SOU, the CCC was represented by College of Idaho at No.4, Eastern Oregon at No. 9, Northwest Christian at No. 16 and Tech just outside the Top 25 at No. 26 in the receiving votes category. Up next the Owls will head to William Jessup University for the Warrior Invite in Rocklin, California on October 21.